Fiat (re)entered the U.S. market in 2012 with the diminutive 500, a thrifty two-door hatchback with decidedly more flair that your typical subcompact car. Performance-oriented Abarth and Turbo models followed, the former, in particular, adding a sizable fun-to-drive quotient to the mix. 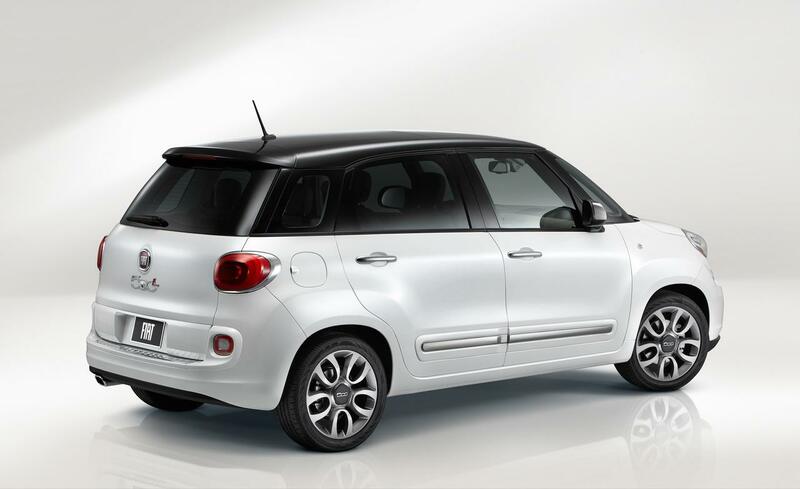 For 2014, Fiat adds the much larger 500L, a front-drive, 4-door, “tall wagon.” Although sized like a compact car, the 500L’s natural competitors are boxy subcompact cars such as the Honda Fit and Kia Soul, as well as front-drive versions of compact SUVs. (We don’t consider the 500L an SUV primarily because it doesn’t offer an all-wheel-drive version.) Four trim levels are offered: Pop ($19,100), Easy ($20,195), Trekking ($21,195), and the tested Lounge ($24,195). None of those prices include destination. While the “tall wagon” concept has many merits, the 500L doesn’t make the best use of them. For instance, while the rear seat offers plenty of legroom (it can be slid fore and aft about 5 inches to benefit passenger or cargo space), headroom is downright skimpy; my 5’9 noggin brushed the headliner (possibly due to our tester’s sunroof), which isn’t the case even in most subcompact cars. On the positive side, the step-in height is higher and the door opening larger than in most other cars, making for easy entry and exit. Furthermore, the floor is nearly flat; giving a middle passenger decent foot space, and the seatbacks can be reclined. 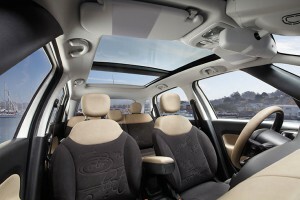 With the available sunroof, the 500L boasts generous glass area and an especially airy feeling cabin. While the tall build allows for a commanding seating position, tall windows, and an “airy” feel—all of which the 500L has—some of the actual visibility benefit has been lost. The windshield header is far enough forward as to restrict the driver’s view of overhead stoplights and signs, and the center roof pillars are thick enough to block the view of traffic to both sides. (Outside mirrors have a wide-angle feature, but it’s not enough to compensate.) Furthermore, the sunvisors, when rotated to the sides, don’t extend, and they don’t come close to covering the length of the window. And the outboard rear-seat headrests leave but a narrow view back unless the seat is folded. Our tester had a rearview camera, which helped when backing, but not in traffic. Cargo space is a mixed bag. In most competitors, folding the rear seat backs results in a large, cubic, flat-floored cargo area, usually with some storage under the rear cargo floor; thus it’s quick and easy to go from people hauler to pack mule. Things are different in the 500L. Folding the seat backs leaves about a 3-inch “step” above the level of the cargo floor that makes it awkward to slide larger items very deep into the load area. However, the cargo floor itself can be raised that 3 inches by removing it and sliding it into slots in the sidewalls, but that decreases the height of the cargo area, and it’s doubtful that “suspended” floor could hold much weight. Also, the cargo area is rather narrow at the rear, so wider items (such as golf clubs) can’t be put it sideways. The seats can be tumbled forward to leave a “valley” instead of a step, but that steals about a foot of useable length. On the positive side, that valley allows something the size of a flat-screen TV to be slid in sideways through the rear door opening and remain upright. As is common, there’s some cargo space under the rear of the cargo floor. In-cabin storage is likewise a mixed bag. While there are fairly roomy upper and lower gloveboxes, they aren’t the handiest for the driver. Within easier reach are a small, shallow console bin, two console cupholders, a small lower-dash bin, and the usual map pockets. The console bin, in particular, is much bigger in many competitors, at least those that are SUVs. Interior surfaces are mostly hard plastic, but some are padded. Seats are very comfortable, and on the Lounge model, both the driver’s and front passenger’s adjust for height and lumbar – the latter an unusual feature (particularly on the passenger side) in this price class. However, jacking up the driver seat (as I am wont to do) left the desired steering wheel position blocking most of the speedometer, so I had to raise the wheel some. Audio controls are high and easy to reach, and our tester was equipped with Chrysler’s excellent UConnect infortainment system. On the down side – literally – the climate controls are mounted low and recessed, but at least they are easy to adjust, and the fact our tester had automatic climate control meant you didn’t have to fuss with them much. Something Fiat got right was the suspension. The 500L rode very well, easily soaking up normal bumps, and handling was decent enough for this type of vehicle. No complaints here. Not so with the powertrain. The little 1.4-liter turbo produces a surprising amount of power, but it isn’t delivered in a linear fashion, and it often takes several beats to arrive after being beckoned by your right foot. Part of the blame goes to turbo lag, part to the resistance of the automatic transmission to downshift in a timely manner. Fuel economy is just so-so. Over 150 miles of about 2/3 highway driving, I averaged 28.2 mpg; right between the EPA city and highway figures. However, Fiat recommends premium-grade fuel, which effectively drops my average by 8% (to about 26.0 mpg) on a cost-per-mile basis vs. a car that runs on regular. Although the recalcitrant powertrain reared its head all too often, I rather enjoyed driving the 500L. 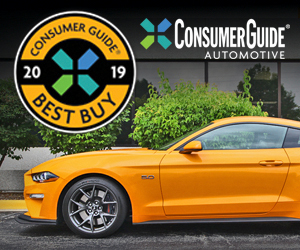 It would seem to be well suited to folks who can appreciate the high-set seats and large door openings – and the ease of entry they provide – along with good cargo space and reasonable fuel economy. However, I’m not sure it’s a better choice than some other vehicles (mostly compact SUVs) that offer similar attributes but with far less fuss. I’m coming at the 500L from a different angle than Rick. I see this car as a stylish and affordable alternative to mainstream compact hatchbacks, and to a lesser extent, midsize sedans. Adults will want for headroom, but three teens squeezed into the rear of our test car with little problem. My first impression was perhaps my best impression, and that was upon first entering the car. Our sunroof-equipped car felt more open and airy than any other car I’ve tested in years. Blame a couple generations of rising beltlines, but most coupes and sedans these days feel like caves. The 500L, however, feels like an open wagon covered by a clear canopy. That sense of space and openness is enhanced by a relatively high front-seating position, which allows for excellent visibility to every direction. Rick is correct, however, regarding visibility forward at stoplights. Because the roof extends so far forward seeing lights and high-mounted signs in front of you involves some neck craning. Under way I find power sufficient under most circumstances, and livelier at speeds that allow the little turbocharged engine to reach working revs more easily. The dual-clutch transmission is a mixed bag, generally serving up timely shifts, but a little cranky and overbusy in stop-and-go work. 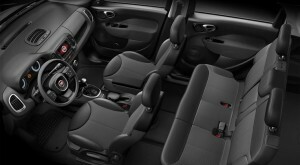 The 500L rides especially well, and rivals larger vehicles for composure and bump absorption. Handling is fine, though not especially sporty, with the steering coming in a little light, and the whole vehicle subject to a little more lean in corners than one might expect from a relative of the 500 coupe. Rick noted a lack of rear-seat headroom, but I took note of flat floor and broad seat back there. I had little problem cramming my teenage kid and two of her (smaller) friends in the rear seat for a short jaunt. It’s worth noting that our loaded tester came in at almost exactly $27,500. 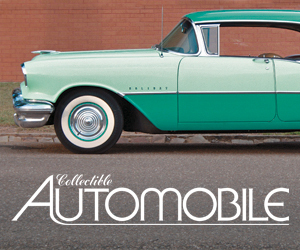 That’s about $4000 less than the average transaction price of a new car these days. And, despite its small exterior, the 500L boasts about 100 cubic feet of cabin space, almost exactly as much interior room as a Honda Accord. I’m impressed. People will buy this car because it’s cute. Smart people will buy this car because it makes a lot of sense. The 500L is a nicely packaged vehicle the is perfect for folks who need some space, don’t put adults in back, and like the idea of getting close to 30 mpg with an automatic transmission. Written by: The Daily Drive staff on August 27, 2013.on December 6, 2018.